There is a fire in this park called Rocky Grounds HR. Refer to the Rural Fire Service for latest information. Do not enter any closed area or area with fire. If you see an unattended fire call Triple Zero (000). Penalties apply for non-compliance. For more information about fire safety in parks and reserves, visit the NSW National Parks fire safety page for park safety guidelines. There is a fire in this park called Never Never HR. Refer to the Rural Fire Service for latest information. Do not enter any closed area or area with fire. If you see an unattended fire call Triple Zero (000). Penalties apply for non-compliance. For more information about fire safety in parks and reserves, visit the NSW National Parks fire safety page for park safety guidelines. There is a fire in this park called Wambo West HR. Refer to the Rural Fire Service for latest information. Do not enter any closed area or area with fire. If you see an unattended fire call Triple Zero (000). Penalties apply for non-compliance. For more information about fire safety in parks and reserves, visit the NSW National Parks fire safety page for park safety guidelines. There is a fire in this park called Pine Ridge HR. Refer to the Rural Fire Service for latest information. Do not enter any closed area or area with fire. If you see an unattended fire call Triple Zero (000). Penalties apply for non-compliance. For more information about fire safety in parks and reserves, visit the NSW National Parks fire safety page for park safety guidelines. There is a fire in this park called Goulds Creek LMZ - Stage 2. Refer to the Rural Fire Service for latest information. Do not enter any closed area or area with fire. If you see an unattended fire call Triple Zero (000). Penalties apply for non-compliance. For more information about fire safety in parks and reserves, visit the NSW National Parks fire safety page for park safety guidelines. There is a fire in this park called Deadmans HR. Refer to the Rural Fire Service for latest information. Do not enter any closed area or area with fire. If you see an unattended fire call Triple Zero (000). Penalties apply for non-compliance. For more information about fire safety in parks and reserves, visit the NSW National Parks fire safety page for park safety guidelines. A prescribed hazard reduction burn is planned in Wollemi National Park, east of Commission Road and west of Wambo Mine. Substantial amounts of smoke may be visible and may affect Commission Road, California trail and Bulga trail. After the burn, tree falls may be a hazard along the trails in the area. For more information, call the NPWS Bulga office on 02 6574 5555. 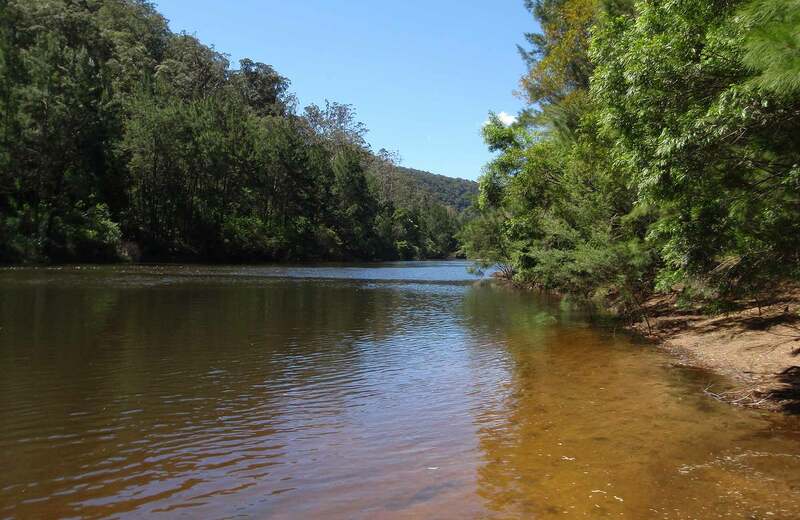 A prescribed hazard reduction burn is planned in Wollemi National Park. The area is about 5km south of Jerrys Plains, east of Jones Reserve Road and south of Redmanvale Road. Substantial amounts of smoke may be visible and may affect trails in that section of the park. The Ben Bullen trail and Baal Bone Gap picnic area is suitable for high clearance 4WD vehicles only. There are large ruts and washed out sections in the Ben Bullen State Forest that are not suitable for low clearance vehicles. For more information please call the NPWS Mudgee area office on 02 6370 9000. The toilet at Deep Pass campground is temporarily closed due to capacity limitations. Planning for a new toilet facility is currently underway. Please use minimal impact camping practices in this area. Large groups should consider camping at alternative sites. Groups in excess of 20 people require approval from the NPWS Oberon area office. Boobook campground and picnic area within Wheeny Creek campground and picnic area is closed for management purposes. Penalties apply for non-compliance. For more information, please contact the NPWS Richmond area office on (02) 4588 2400 or visit the NSW National Parks safety page for park safety guidelines. The Pipeline track between Glen Davis and Newnes is closed until further notice. There is no access across private property at Glen Davis, and trespassing is prohibited. For more information please call NPWS Heritage Centre on (02) 4787 8877, open 7 days a week, or NPWS Mudgee on (02) 6370 9000, Monday to Friday, or visit the NSW National Parks safety page for park safety guidelines. Wollemi National Park is always open but may have to close at times due to poor weather or fire danger.